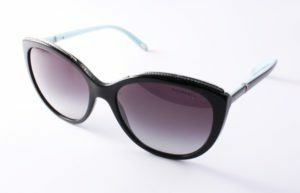 Tiffany TF 4128 B 8193 9S Sunglasses. 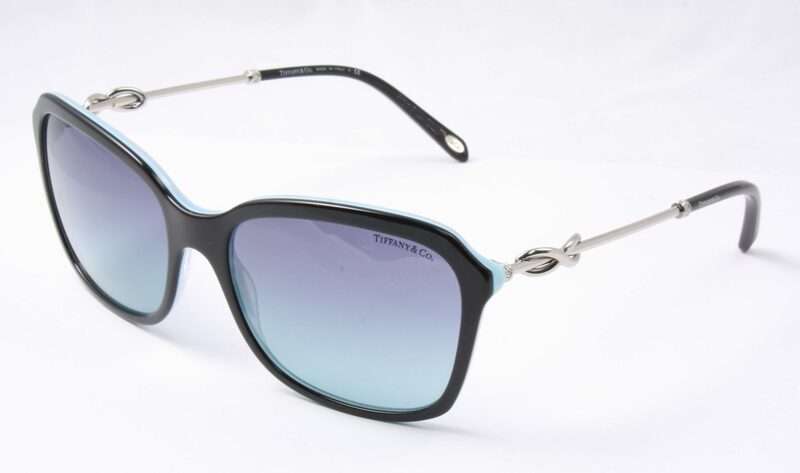 Acetate square Tiffany sunglasses in bblack with duck egg blue behind. Siver metal sides with Tiffany iconic knot design. blue grey gradient lenses with full UV protection. 2 year manufactures warranty. Includes hard Tiffany case with soft Tiffany bag. Tiffany TF 4128 B is delivered free in the UK.